To search for a participant, type their first and last name and click on the search icon. To search for a team, click "team" and type in part of all of the team name. Please note that donations can only be made on behalf of a participant. JOIN THE CHALLENGE - Because YOU can! Challenge for Life is back. Participants can either WALK IT for 20k or WORK IT for 200 non-continuous minutes of fitness! In 2018 nearly 800 Challengers laced up and raised an incredible $1.125 million. Challenge for Life is a powerful annual event. Every year hundreds of Manitobans come together to raise serious funds for a serious cause. Since its inception in 2008, over $11 million has been raised. Simply amazing! All proceeds stay right here in Manitoba to support prevention, early detection, state-of-the-art research, world-class treatment and patient support at CancerCare Manitoba. WALK IT and WORK IT participants are responsible for raising a minimum of $500 each. 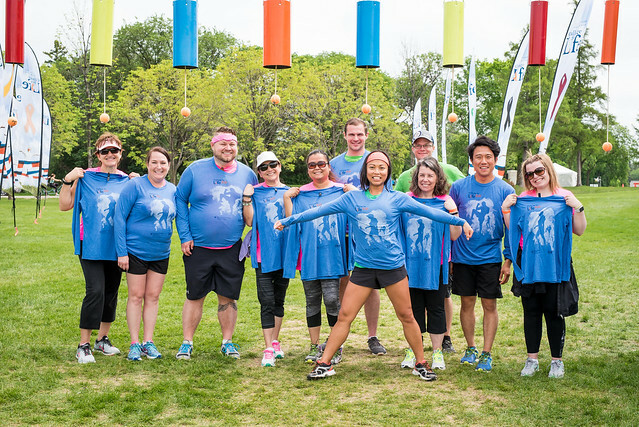 Register today for Challenge for Life and commit to changing the lives of Manitobans living with cancer ...because we can! Challenge for Life photos tell an amazing story of courage, commitment and pride of accomplishment. View the Challenge photos below!